Oh la la, voilà! 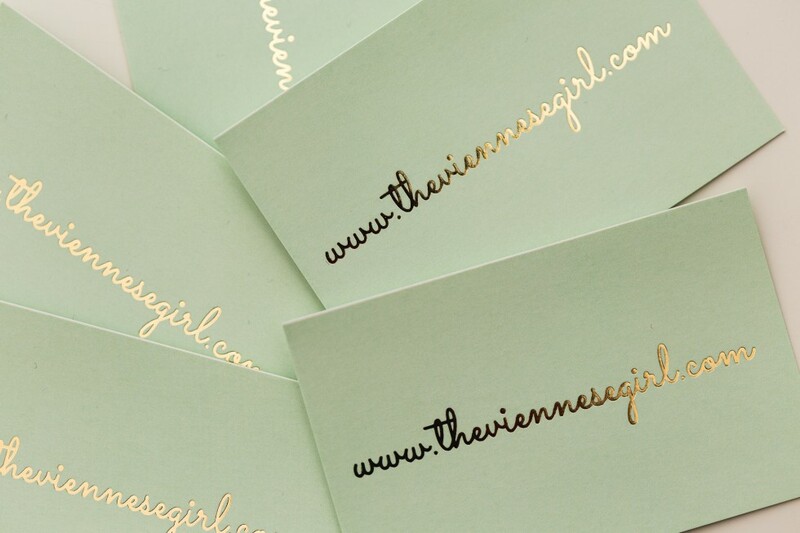 Business cards for The Viennese Girl blog! My friend Ioanna made them for me and they are simple and fabulous. She made them exactly how I asked her to make them (she is the best personal assistant – have to mention that). Mint with gold letters. I simply love those two colors combined together: mint with gold!! Except the colors, I wanted them to be so simple, just the name of the website in the middle and nothing else. I received them recently and got so excited, I never had something like that before.